Pening nk update. Mari melihat ini pelamin. Mini punyer. Idea nk combine both concept because I have the mood of creating the pomander. 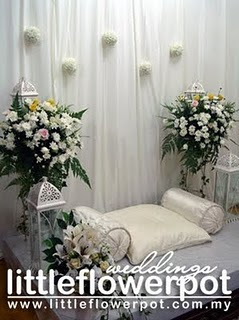 Have the thought of using dip filler flowers tp ble dgr 100rm per can - fuh, fuh..tgk la camne. hahaha!